Captain Brian V. Buzzell retired from the U.S. Navy in 1995 after serving 26 years on active military duty. His last duty station was with the Base Structure Analysis Team supporting the Department of the Navy’s BRAC 93 and 95 rounds of base closures. Prior to the BSAT, Captain Buzzell was stationed in the Philippines where he served as Representative of the Commander in Chief, U.S. Pacific Command. His duties in the Philippines included Political-Military Officer to Commander, U.S. Naval Forces Philippines, Department of the Navy Representative to the US State Department Base Negotiation Team, U.S. Embassy Country Team, and Subic Naval Base Withdrawal Coordinator. He is a 1991 graduate of National War College with a Masters equivalent degree in National Security Policy. Prior to that he was Commanding Officer, Navy Recruiting District Philadelphia; at the time the 3rd largest recruiting district in the USA. Captain Buzzell graduated from George Washington University with a BA in Economics. While attending GWU, Captain Buzzell worked full time in the White House as President’s Johnson and Nixon’s personal butler and later returned as a WHS Military Social Aide 1977-78. 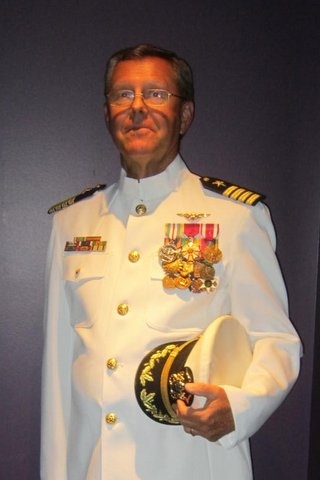 He entered the Navy in October 1969, was commissioned in February 1970 and designated a Naval Aviator in January 1971. Captain Buzzell’s warfare specialty is LAMPS (Light Airborne Multi-Purpose System). Captain Buzzell is a proven sub-specialist in Anti-Submarine Warfare, Weapon System Acquisition Management and Navy Recruiting. His first duty station was HAL -3, Binh Thuy, South Vietnam where he flew helicopter gun ships in support of US Naval Riverine Forces operating in the Delta. On leaving the Navy Captain Buzzell joined Technology Strategies & Alliances as President, International Division. After four years with TSA Mr. Buzzell formed Creative Team Concepts, LLC with a retired Air Force Senior officer. CTC provided consulting services to the Office of Secretary of Defense for BRAC 2005. From 2006 to 2010 Mr. Buzzell was an owner/operator of Five Guys Hamburgers and Fries 30 store Wisconsin franchise. In 2010 he sold the franchise back to Five Guys Parent Corporation, however, retained his interest in Five Guys on Military bases with 5 stores currently open. Mr. Buzzell is also President of The Buzzell Group, L.L.C. providing consulting services to companies looking to expand into the defense market sector. In 2012, Mr. Buzzell joined AMS Group as Vice President for Business Development and now serves as Senior Consultant. AMS Group, inner alia, is several inter-locking companies that provide an innovative range of technologies and logistic support services across commercial, defense and security markets supporting a global customer base. Mr. Buzzell is an avid lifelong sailor having raced various classes of sailboats all over the world. He is a certified USA Sailing Race Officer & Vice Commodore, Delavan Lake Yacht Club, WI. Mr. Buzzell is married to Judy and has two daughters: Kristen – age 38 and Ashley – age 36. He is a native of Delavan Lake, Wisconsin and has residences in Cary, NC and Delavan Lake, WI.